Over the years, we’ve noticed that installations that feature stair nosings are projects where extra care has been taken to ensure the flooring’s safety and longevity. 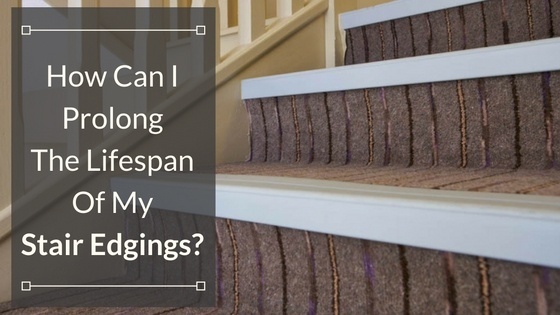 Understandably, clients who have taken this extra step want to know how they can best prolong the life of their stair nosings. Here are some tips to help you extend the life of your stair nosings, so you’re getting the most out of the time and money spent installing them. The first step in elongating your stair nosings’ lives is checking the manufacturer’s recommended cleaning and maintenance instructions. Not all materials can be cleaned with just any cleaning agent. Make sure you use products that are safe for your type of nosing so the surface isn’t damaged. For example, you wouldn’t want to use an abrasive cleaner on chrome, bronze or polished stair nosings. This would scratch the finish and detract from the beauty of the stair nosing, which is probably one of the factors that contributed to you choosing that particular profile in the first place. If you’re even slightly concerned about a cleaning product that you’re going to use, test it in an inconspicuous area. This is especially important If the stair nosing contains a PVC insert or is made of any type of rubber or plastic, because the cleaner could potentially affect the color of the profile. Follow all maintenance recommendations given by the manufacturer. They have the best knowledge of their products and can give you the most accurate information for cleaning and maintaining your stair nosing. 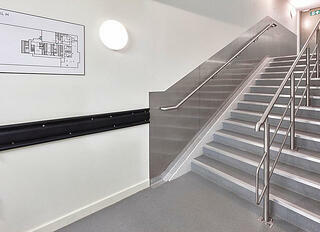 Make sure that the stair nosing profile you choose is suited for the environment where it will be installed. For example, you wouldn’t want to use a lightweight profile in a heavy traffic area because the nosing would wear out much too quickly and you wouldn’t get the lifespan that you desire. Likewise, you wouldn’t want to use a PVC or rubber stair nosing in an exterior area unless the manufacturer guarantees that the color will not be affected by sunlight and weather. Consider the type of traffic your stair nosing will endure. If the steps will be subjected to dollies and other heavy equipment, you probably wouldn’t want to go with a shiny finish or a plated profile. Instead, you would want a metal profile that will hold up to the equipment and not looked scratched and damaged after a short time. 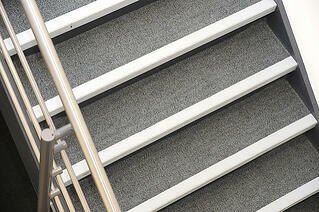 Although most damage to stair nosings can’t be repaired, check for wear or damage regularly. If you repair or replace a stair nosing at the first sign of damage, you not only prevent a possible injury, but also reduce the money spent on a repair. By catching the damage early, you’ll only need to repair or replace the affected area instead of the full staircase. Damaged Stair Nosings: Should You Replace or Repair?